Start saving more time today! Rise is the only software in Canada that offers all-in-one HR, Benefits, and Payroll management. Take care of all your administration in Rise and know everything is compliant and error-free. 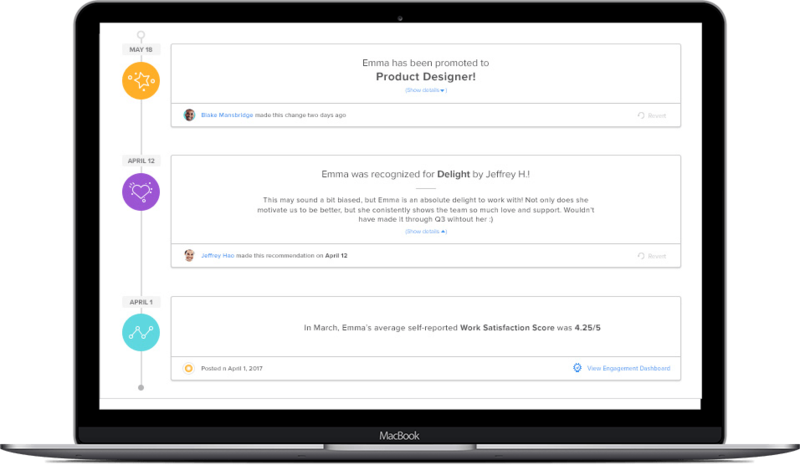 Keep everything in sync in one convenient place and focus on what really matters—your people. Your payroll, HR, and benefits data perfectly in sync. All your data at your disposal. Create best practices and strategic planning with unlimited, customized reports. Automatically sync hours worked with payroll to ensure accuracy—and happy employees. Simplify tax time. Reconcile your T4/T4A/RL1 slips at any point in the year. Run payroll as many times as you need, at your convenience. No restrictions on bonus payments or termination payouts. Automate emailing paystubs and T4s to your people. There’s no need for them to login.